It was an adventurous age, the Phonak PFE 232 and Westones W4 were hailed as the greatest, most price prohibitive in-ear on the market, shaking up the Shure SE535’s and Etymotic ER4’s of the world. 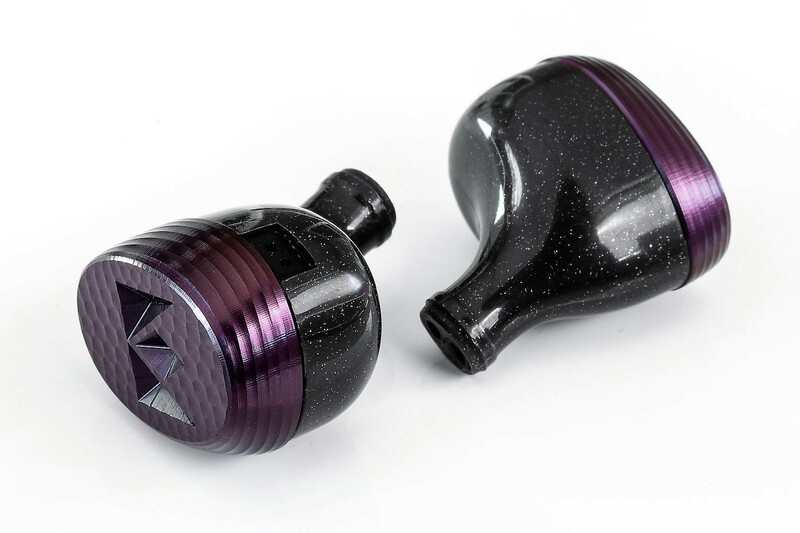 But talk of a well-coveted newcomer bumbled through the forum, Heir Audio was making headlines with their stylish new in-ears. However, that was over half a decade ago, and Heir has since been split and revitalized as Noble Audio, who have, once again, redefined our perception of flagship portable audio. Of note, their 10-driver K10U and subsequent Kaiser Encore are both widely discussed models, even those outside the hobby or just getting started will be well familiar with those orange and blue shells. But like 64Audio, talk of their multi-thousand dollar flagship is surprisingly widespread though very little, if any, can be heard about their lower-end offerings. The Django is hardly an affordable in-ear but is certainly more accessible than the Kaiser Encore with a $999 USD asking price. And with the same souped up metal faceplates, hand assembled components and an in-house designed 6-driver configuration, the Django represents the next highest earphone below Noble’s flagships. But the market has since matured and grown fierce with competition and with brands like Campfire Audio pricing their flagships closer to the $1k Django than the $1.8k Kaiser Encore and Katana, let’s see how the Django performs relative to their nearest priced competition. I would like to thank Brannan from Noble Audio very much for his quick communication and for providing me with the Django for the purpose of review. All words are my own and there is no monetary incentive for a positive review. Despite receiving the earphones free of cost, I will attempt to be as objective as possible in my evaluation. Noble Audio flatter their buyers with excellent packaging that reaffirms the quality and prestige behind their brand. The Django comes within a large box with bold renders of the earphones and some basic usage instructions on the back. Inside is a hard box containing a waterproof Pelican 1010 carry case, probably the most protective earphone case on the market, with a more portable acrylic case just to the left. The bulk of the contents lie within the Pelican case, the Django’s within an anti-static bag, a soft pouch, two Noble stickers to flaunt your purchase and a metal card that holds a staggering 22 ear tips; 3 sizes of soft silicones, hard silicones and dual flanges in addition to two sizes of foam ear tips. Noble also includes a nice metal warranty card engraved with the original buyer’s name, a Caribana and two stacking straps. It’s a super comprehensive setup embellished with a hyper opulent presentation. The included carry cases are genuinely practical and hardy when needed and the assortment of ear tips should guarantee a solid fit (though I still preferred JVC Spiral Dots). There are so few reviews of this IEM, so thank you for providing such a complete accounting of its qualities! If you had to pick between the Django, the Andromeda, and the Vega, which would you go with and why? Hmmm, that’s a tough question. I think like a lot of people I would go with the Andro, it is the most balanced and their soundstage and resolution are addictive. The Django is fine, but it’s tonality just isn’t for me personally and the fit isn’t as rock solid as the Campfires. The Vega is great too, I think their bass is a bit bombastic for everyday use though if its engagement you want, it doesn’t get much better. It ultimately depends what you’re looking for, I hope that helps! It does, thanks. It’s rare for someone to have heard all three of these, so your opinion here is invaluable. Thank you for this interesting review. Could you please compare the Dulce bass to the Django ? I only tried the Dulce Bass briefly, from memory, it was considerably bassier with notably more sub-bass slam than the Django but otherwise, both are similar with the same kind of smoother mid-high end though the Dulce Bass might be slightly more v-shaped. The Dulce Bass is also appreciably more compact if you have smaller ears.